Many people think that getting braces or another form of orthodontic work is for cosmetic reasons only. While improving the appearance of the smile is one of the benefits of orthodontia, it also helps to correct numerous oral health issues. Left untreated, these issues can cause long-term problems with biting, chewing, alignment of the teeth, and more. Overbite: This occurs when the upper teeth stick out much further than the lower teeth. Typically, the two sets of teeth don’t touch one another. The upper teeth also block the lower incisors. It’s important to correct an overbite as early as possible because it produces improper tooth functioning, joint or jaw problems, issues with the lower teeth biting into gum tissue, and excessive wear on the front lower teeth. Underbite: This produces the opposite situation where the lower teeth protrude further than the upper teeth. It can cause problems with chewing and eating, abnormal wear on the lower teeth, joint and jaw problems, and an unattractive smile. Other orthodontic issues that we often see at O.C. Dental Specialists include openbite, overjet, impacted teeth, crowded teeth, and missing teeth. We encourage you to schedule a consultation as soon as possible if you’re concerned that you or your child need orthodontics. 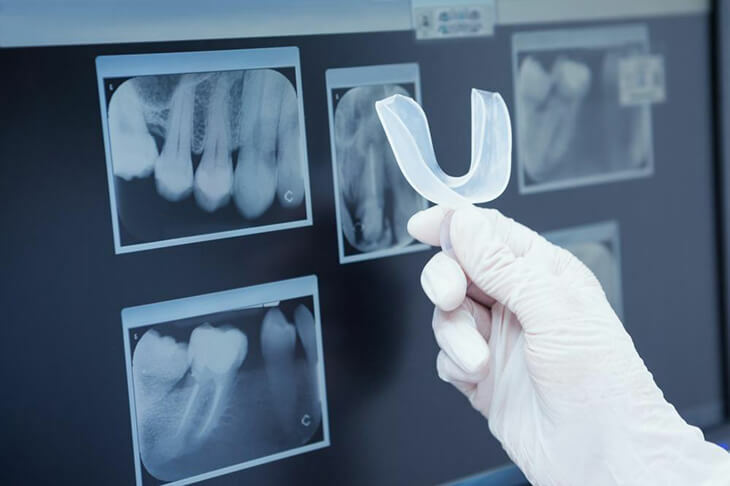 Our dentists will diagnose a specific condition and then outline a treatment plan to correct it.